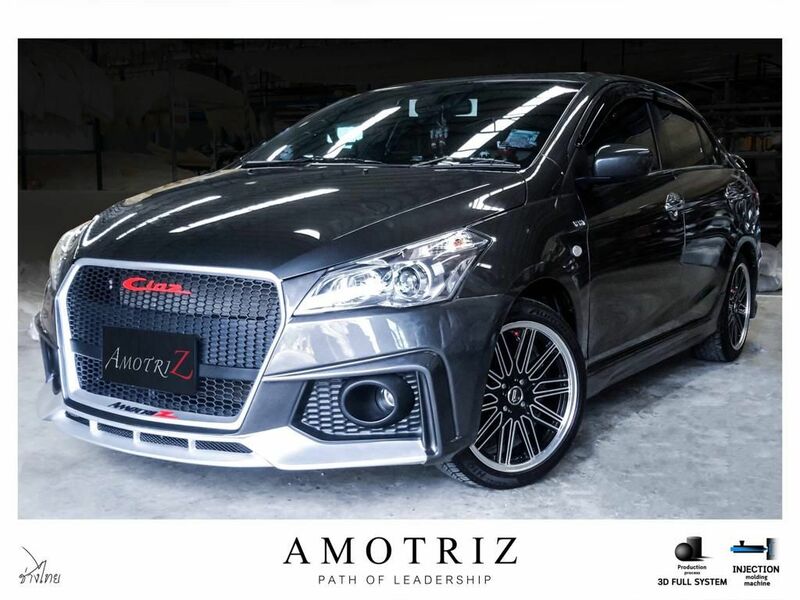 Amotriz is one of the most popular car detailing shops in Thailand and they specialize in custom body kits. 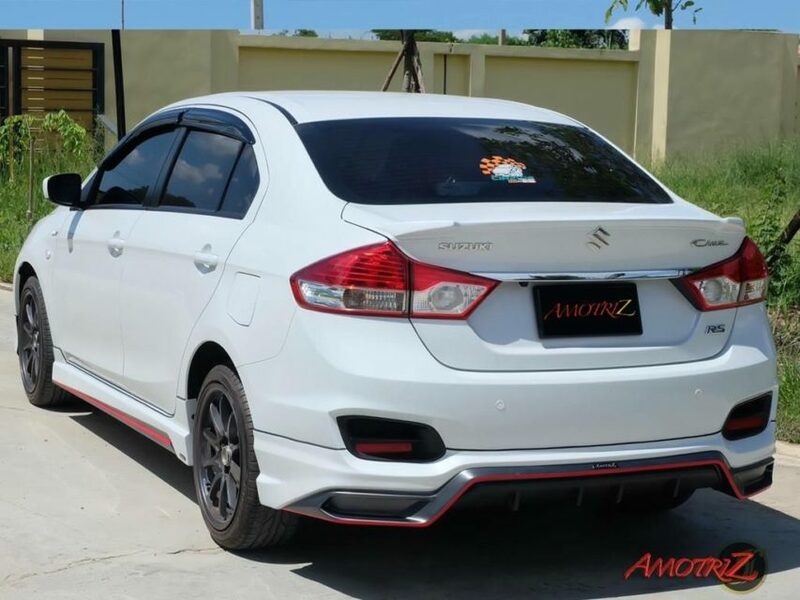 They recently introduced body kit for Suzuki Ciaz, which include front, side and rear skirts along with a spoiler also. The front skirt is offered in two different design as the one come with a pair of daylight bar skirt and the second one is an R8 inspired front skirt. They use full 3d scanning systems to create and design the body kit as it is stuck to the body of the car with an acrylic adhesive tap while other custom shops use drilling to attach it. Amotriz also uses Dupont 2K colour with international standard. 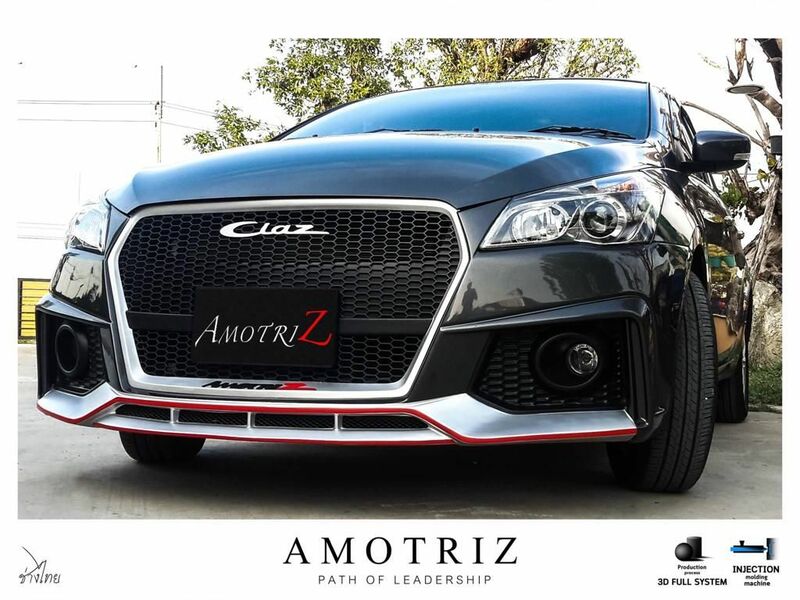 Usually, most of these aftermarket parts don’t come with a warranty but Amortiz offers 1 year warranty. Suzuki is yet to introduce the facelift model of Ciaz in Thailand and the sedan is one of the best selling models in its class. The Ciaz is offered in four variants – GA, GL, GLX and RS. The sedan measures 4,490 mm length, 1,730 mm width, 1,475 mm height and 2,650 mm wheelbase. The ground clearance of Ciaz is 160 mm in Thai-spec. 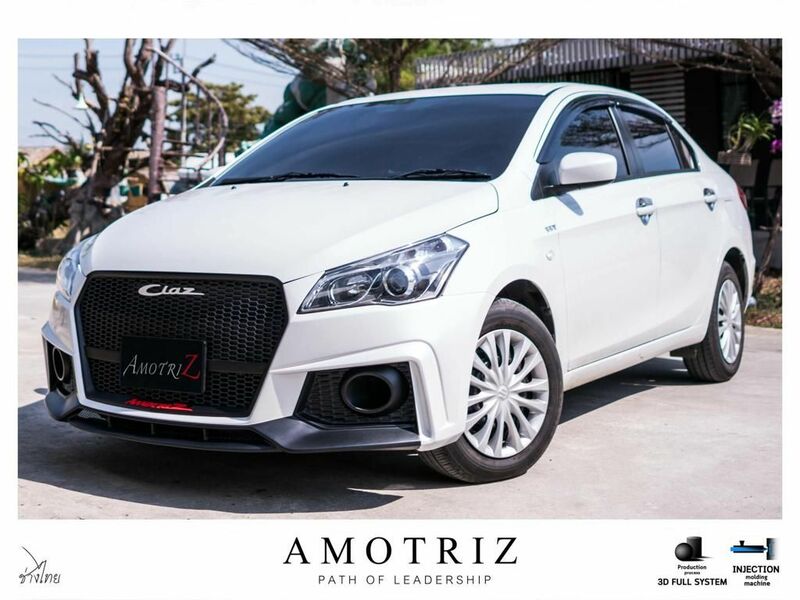 In Thailand, Suzuki only offers the Ciaz with a petrol engine and the sedan is powered by 1248 cc K12B engine producing 91 hp of power at 6,000 rpm and 118 Nm of torque at 4,800 rpm. This engine is mated to 5-speed manual and CVT automatic transmission. The transmission is tuned to deliver excellent fuel efficiency. The Ciaz is loaded with lots of features like 7-inch touchscreen infotainment system with Apple CarPlay and Android Auto, Bluetooth connectivity, projector headlamps, reverse camera with parking sensors, leather-wrapped steering wheel, leather seats (fabric seat on lower models), electronically controlled exterior mirrors and more. The sedan also comes with safety features like dual airbags, ABS with EBD function, brake assist function, side impact door beams, immobilizer, security alarm and Emergency flat tyre repair. Suzuki offers the Ciaz in 7 colour options – Pure White Pearl, Ablaze, Red Pearl, Super Black Pearl, Dignity Brown Pearl Metallic, Mineral Gray Metallic and Star Silver Metallic.